Every year, no matter what kind of wonderful parties and other festivities are going on, at some point there is a slump. Maybe it’s a friend or family member, co-worker, or yourself that goes through a rough patch during the dark, cold winter months. This, unfortunately, is something people tend to ignore and muscle through instead of confronting. There is a delicious solution for your winter time blues, and it turns out it’s been there all along. Food is the great healer and always has been in every culture on the planet. Chicken soup when you have a cold, a glass of orange juice to get your vitamin C, it’s different for everyone. Many foods have been scientifically proven to have health benefits not the least of which is chocolate. This is not only coming from a long time chocoholic. Ask around, heck, ask your doctor! In fact studies have found dark chocolate in particular to be beneficial to your body and also can help to melt away the stress of your commute. 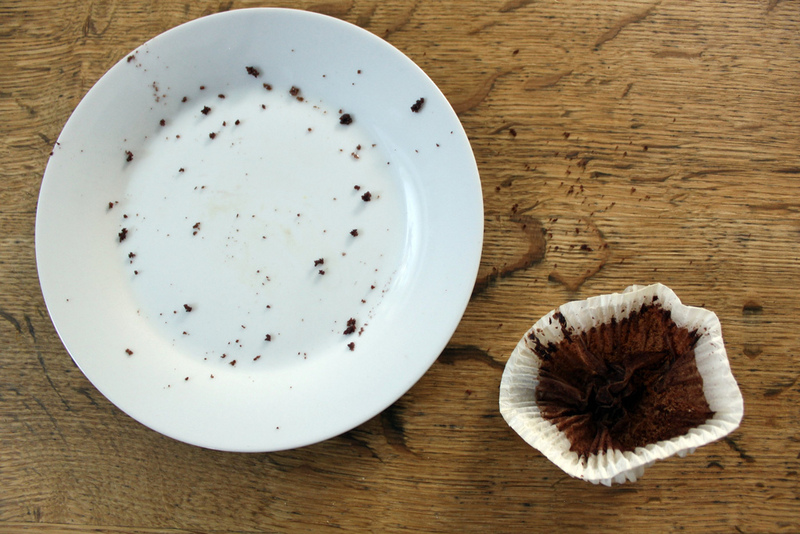 Now just because chocolate is good for you in moderation does not mean ganache dipped cupcakes are. However if you feel like you deserve a treat (and you most likely do) don’t go half way and eat a snickers bar, get some quality therapy. The kind only chocolate cake can provide, and don’t forget to share. Be well! Tags: Chocolate, Chocolate Crazy Dinner Tour, Chocolate NYC, Chocolate Party!! Chocolate NYC's One Year Birthday Bash, cupcakes, Double Dark Chocolate Cupcakes, Field House, Foodie Friday, ganache, Heartfest 2014, Mend a Heart Foundation, Now We're Cookin', Salerno Winery, So Rich Chocolates, The Community House, Truffles and Confections, Wine and Chocolate Event. In the Southern states there are more speciality dishes than you can shake a stick at, and they are all amazing. Folks have been perfecting their local cuisines since the first settlers moved to the area, passing secret recipes down through the generations. In Southern cooking there are certainly techniques and methods exclusive to the region, and that’s where things get interesting. Barbecue alone has at least eight different distinctive styles that separate Texas style from what you will get in the Carolinas and so on. If you went to an accredited culinary school and graduated, you may not walk away with the knowledge for preparing Southern food unless you took a specific course. Basically, things happen a little differently in the South. For one, food takes longer to cook and the ingredients are more specific and specialized. Creole cuisine, for example, is exclusive to Louisiana and is influenced by Spanish, African, Italian, French, Portuguese and other international cuisines. 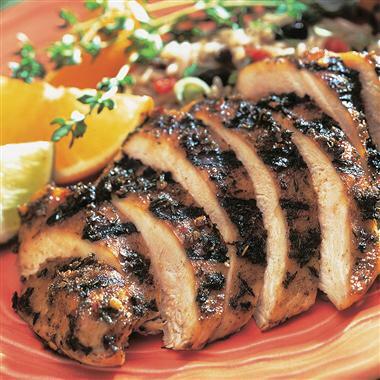 Creole cooking is a close reflection of classic French cuisine in that is sources ingredients from the immediate area. You might find alligator in your jambalaya and crawdads in your gumbo. These critters are indigenous and therefore, as in any culture, end up in the soup pot. In French cooking, you might find a mirepoix (equal parts celery, carrot, and onion) in a dish. Similarly, Creole cooking would use the holy trinity of celery, green bell pepper, and onion in equal ratio. Cajun cooking is closely related to Creole cuisine however more rustic. Basically Cajun food is country food and Creole is city food. You also won’t find tomatoes in Cajun food. Although it is easy to confuse the two, if you ask a local they will definitely let you know. This week I wanted to share a Creole recipe that has been on both country and city tables since the 18th century. 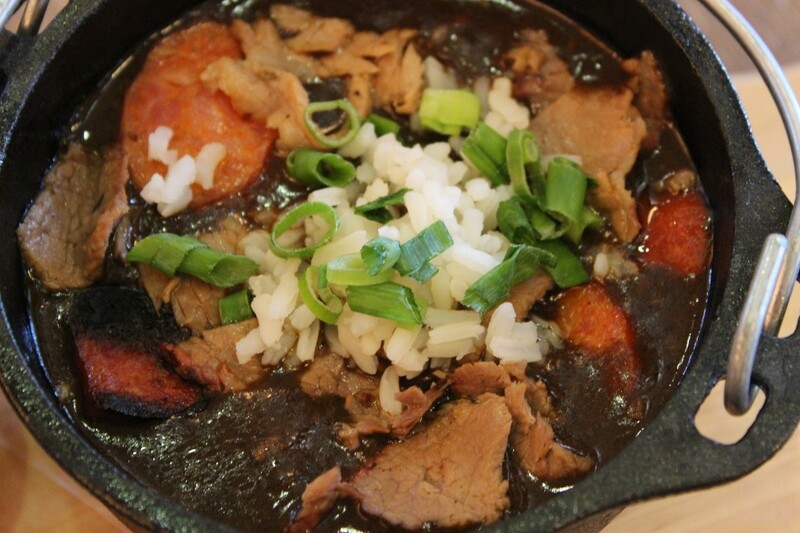 Cooking a dish like gumbo may seem intimidating to someone from, let’s say California, but it is no more complicated than a nice mole. Remember, when making this dish for the first time: with big flavors come big responsibilities. So, take your time and don’t forget to add lots of love. Tags: Bandit, Baton Rouge Food Tours, BBQ, Bridges, C'est Si Bon Food Tour, Chef Nell, Creole, Creole Style Gumbo, Evergreen Cajun Center, Foodie Friday, gumbo, Hampton Inn & Suites on Beale Street, Memphis Downtown Food Tour, mirepoix, New Year's Celebration Southern Style, New Year's Eve 2013 Bash, Now We're Cookin', Poor Boy Lloyds, Southern cuisine, TEP Gumbo Contest and Mardis Gras Party. 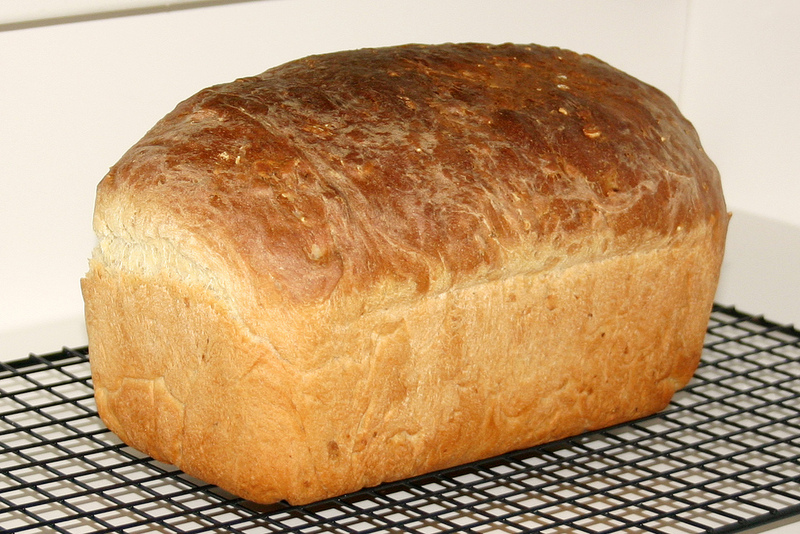 One of the most comforting and inviting smells on a cold winter afternoon is freshly baked bread. The smell grabs right onto your olfactory senses and magically transports you to a very cozy place. Making your own bread may seem intimidating if you haven’t ever tried it, but I am here to tell you that it’s easy. With a little elbow grease and some pretty basic ingredients you can impress your family with fresh baked bread all winter long. Now, the most important thing to remember when making bread is to relax and find a nice clean surface large enough to make your bread while not making a huge mess. I clear my counter completely whenever I make bread so I have plenty of room to work. Make sure you have measuring cups and spoons a large mixing bowl and a heavy wooden spoon. Having these items on hand will definitely make the process easier. I also recommend getting all of the ingredients out and in a spot that is easy to access. Once you start mixing, your hands will be messy so measuring your ingredients ahead of time is highly recommended. When choosing a recipe, remember that baking is science. Therefore sometimes a formula (recipe) may not be perfectly written. Variables such as the water and your oven will change the way your bread turns out. Nothing to fear. The worst thing that will happen is your bread isn’t perfect. Adapt your recipe or try a different one until you find something you love. If your bread turns out perfect the first time you attempt it, way to go! If not, try try again and I promise you will get the hang of it. You may even want to take your own notes and re-write a recipe as you go. Replacing liquids, and types of flour or fat will allow you to experiment and find something that works for you. Try almond milk in place of cow’s milk and olive oil in place of melted butter for a vegan bread recipe. If you are gluten-free there are a number of options available to replace the flour with. The most important things to consider when adapting a bread recipe are not to overheat the yeast, follow the steps in the same order, and work your dough to consistency without being afraid to add more flour if needed. Here is a very basic bread recipe for you to use as a canvas. Enjoy! Tags: 18 Reasons, Art of the Pie, Art of the Pie: Fruit Pie Workshop, baked goods, baking, Christmas Gifts from the Kitchen, freshly baked bread, Gabi Moskowitz, Kate McDermott, Meridith Ford, New Year's Celebration Souther Style, Now We're Cookin', Open Kitchen, Open Kitchen's Holiday Cookies Cooking Class, Pizza Dough: Delicious and Unexpected Recipes, The Bosch Experience Center at Serenbe. The earth has provided a bounty of edible mushrooms that people have been harvesting since before the dawn of mass agriculture. Through trial and error we have been able to distinguish certain delectable species as safe for our consumption. Though there’s an astounding variety of mushroom species on our planet, only a select few have been selected to be included in our recipes. Mushrooms are complex creatures with even more complex flavors and textures. When properly prepared, these wondrous fungi can provide your palate with a rich and powerful experience. For those of you out there that are a little intimidated by cooking certain types of wild mushrooms, this post might help set your mind at ease. There are a couple of different species that do require specific preparation but once you got the basics down you might surprise yourself. Choosing the right fungi for the job is the first step in the path to culinary enlightenment. If you are making a salad or something with light delicate broth you might select oyster mushrooms. When braising rabbit however chantrelle or morel mushrooms are a little more appropriate for the job, since they are heartier and more suitable for rich complex dishes. The next thing to consider once you have selected the types of mushrooms you want to include in your dish would be the various preparations and cooking times for each of your specimens. When cooking with tougher mushrooms such as shitake you will want to remove the stem and cut them a little smaller prior to cooking for example. 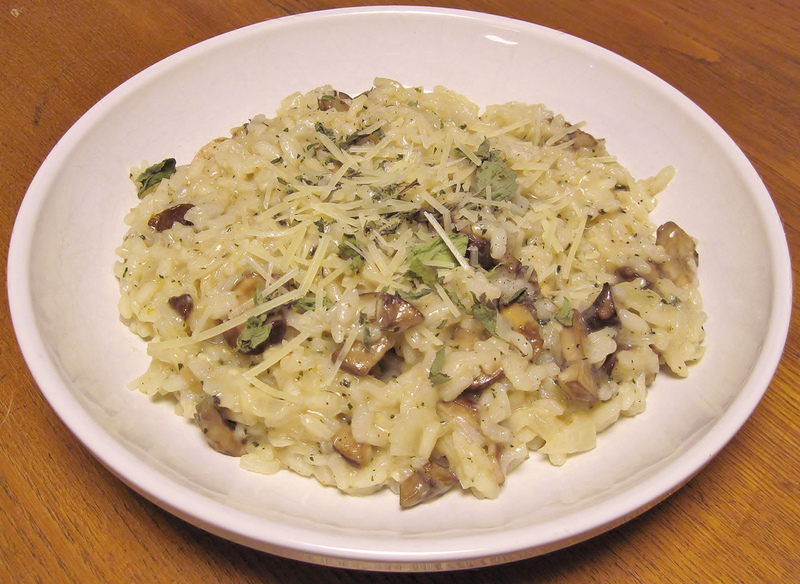 I have chosen some tips for preparing commonly used wild mushrooms, and a recipe for a great wild mushroom risotto. Please make sure if you are foraging for mushrooms that you do so with a professional. Some species of mushrooms can cause illness or even death, so either go with a pro or hit your local market. Dig it! Tags: Cascadia Mushrooms, Chris Kjeldsen, David Sweeney, Foodie Friday, For the Love of Fungi, Frolona Farms, Get Fungi, Learn to Grow Mushrooms, Liminal Space, Mendocino County Museum, Mushroom Mania!, Mushroom Wine and Beer Train 2013, mushrooms, Mushrooms and Other "Fun-Guys", Now We're Cookin', Octane, Patricia Wells, Patrick Nelson, Pepperwood, Rondey Morgan, Sparta Imperial Mushrooms, The Little Tart Bakeshop, Wild Mushroom Risotto. For those of you that have a green thumb, this time of year can be very busy. As your bounty of summer vegetables and tomatoes are ripening in front of your eyes, you’re probably frantically looking recipes in order to put all these delicious, fresh veggies to use. You have been nurturing them for months, and now it’s time to reap the rewards of what you had sewn. Salads and gazpacho account for a great deal of the veggies in my garden, but I also like to trade and go to local farms. What do I do with all of the goodies I find there? Why pickle them of course! 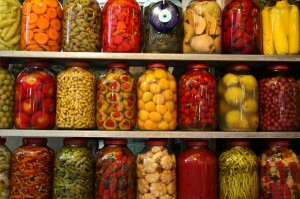 Pickling is a quick and easy way to savor the flavor of summer while doing something interesting with your afternoon. You can use just about any veggie you want in place of the ones I have decided on, as long as you keep them about the same size and blanch the harder ones so they don’t break your teeth. Wax beans, baby carrots, cauliflower florets, okra pods, sliced sweet bell pepper, sliced cucumber, whole button mushrooms, peppers, or radishes all make for tasty tart treats in the summer heat. Enjoy! 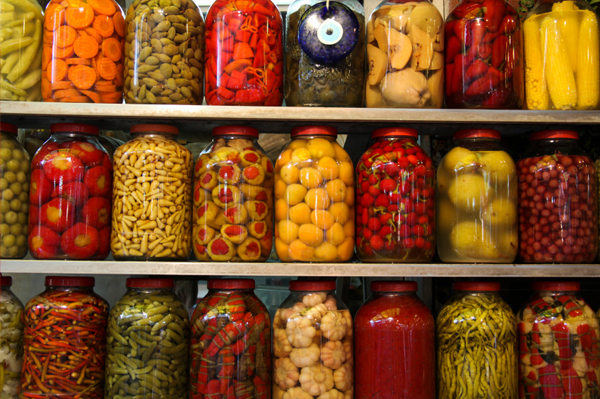 Tags: 18 Reasons, Capture the Sun - The ARt of Canning, food preservation, Food Preservation Party, Holiday Canning: Winter Fruit, Jack Kitteredge, Julie Rawson, Karen Solomon, NOFA Massachusetts, Now We're Cookin', pickling. The Slow Food movement has had a huge impact on what we include on our plates in the last several years. Slow foodies prefer locally-made specialty items lovingly grown, raised or made by families that love their craft and respect their ingredients. While it’s easy to pop into the local super market and grab some packaged goods, slice them and throw them on a tray for your guests, it is far more satisfying to hear the ‘oohs’ and ‘aahs of your guests as they sample your homemade slow cured delicacies. Creating your own specialty foods may take more work and time, but the difference will amaze you. Along with making your own cured meats and fish there are a number of other great homemade specialty items that are easy to make and sure to impress. This week I am sharing a recipe for curing Gravlax, an item that many of you may love to eat but are intimidated to try making yourself. I am here to assure you that it’s not that hard and the results may surprise you. With a caring spirit and a little patience you can be serving this succulent delicacy at your next brunch. Enjoy! Tags: Bay Leaf Group Inc., FIELD & KITCHEN: Sustainable Food Methods from Source to Table, Fish Cookery, Headlands Center for the Arts, Now We're Cookin', Sea Forager Tours, Seafood Basics. The bean dates back to the very beginnings of our civilization. They have been found buried in tombs in Egypt and also, deep inside ancient caves in Peru. It has been at dinner tables just about as far back as we can tell and with good reason. With an average of nine and a half grams of protein per serving the bean makes for a very healthy way to get that “full” feeling that comes at the end of a satisfying meal. There are thousands of varieties of beans in the world, so naturally there are limitless possibilities for preparation. This weeks recipe is from an era when beans were invaluable because of their nutrients and shelf life when dried. This could easily be just about any era in the history of beans but I am specifically thinking about the westward wagon trains of the early United States. Here is my recipe for “Cowboy Beans.” Enjoy! Tags: Foodie Friday, Grub, Mr. Fox, Now We're Cookin', Saburba, Sietsema Orchards & Cider Mill. I love the fall and the great food that comes along with it; so many opportunities to create wonderful soups, stews and curries. Since the cold weather brings larger appetites, large batches are a must. Making large quantities of things more often than not means left overs and plenty of them in my house. Leftovers are a great way to make your life easier. It allows you the freedom to take a night off from cooking once in a while or have a hearty lunch at work with out having to order take-out. When I make beef stew, chicken soup or curry I know they will freeze well so that’s exactly what I do. Taking aside enough for a meal and freezing it helps keep a variety of healthy and affordable quick dinner options at the ready and I recommend trying it if you don’t already do so. 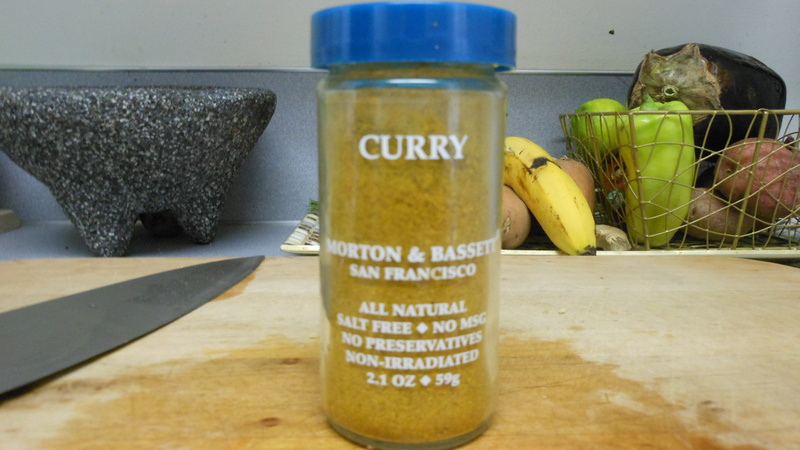 This week I made an easy chicken curry and rice dish that my whole family enjoyed. Since it takes so long to cook this dish I was sure to freeze a portion. I feel good knowing it’s in my freezer for that cold fall evening when we are busy and tired. Remember a recipe is only a guideline, you can always sub in vegetables for chicken if you have preferences or dietary restrictions. Please enjoy! Tags: 2012 Kitchen Walk, acorns, American River Parkway Foundation, California Wine Country Dinner, chicken curry, Dale Bros. Brewery, Designs for Dignity, Food Play NYC, Foodie Friday, Foodportunity, Healthy Foods Local Farms Conference, healthy foods local farms conference planning committee, Hunt Hill Audobon Sanctuary, Keren Brown Attar, Lauren Rayner Productions, Mugs Alehouse, Now We're Cookin', SB Beer Events, Secrets of Seed Saving, Truckin' on the River, Whittier Time Bank. That, my friends is what I recommend for you and yours and that’s why for this week’s Foodie Friday, I’m bringing the heat. This recipe is a great way to transform your backyard into a white sandy beach for a day. I hope you enjoy it as much as I have over the years. Tags: Al A Carte Food Tours, Caribbean, Jerk Chicken, Now We're Cookin', Ruins in the Raw, That Brown Girl, Urban Enoteca. Working as a chef for fifteen years, I can remember working all summer long in a hot kitchen. Barely seeing the sunlight while my friends and family were out enjoying the Pacific Northwest’s all too brief summer. So naturally any time we got a chance to work an outside catering event we would jump at the chance. One such event I had the privilege of working was the Sunset Supper in the Pike Place Market, a great event that supports a great cause. Well it just so happens Brown Paper Tickets is selling tickets for this years installment which takes place on Friday, August 17. Sunset Supper in the Market has all of the important elements of a great summer event: food, libations, contests, music, and dancing. On top of all of that the proceeds support the work of the Pike Market Medical Clinic, Senior Center, Child Care & Preschool and Food Bank – vital services utilized by thousands of Seattle’s low-income and elderly residents. Now don’t think for one minute I forgot you hard-working kitchen types or those of you that are putting on your own events. I have included a recipe for one of my favorite things to drink in the heat or really, anytime for that matter. Remember, a recipe is just a guideline so feel free to make it yours by adding a few of your favorite berries, substituting sweeteners, or adding your favorite liquor or sparkling wine. There is an infinite number of combinations to try. I hope you enjoy! Tags: Cantaloupe Cooler, Carts and a Cold One, Endless Summer, Farm Table Dinners at Green Dirt Farm, Foodie Friday, Ninkasi Brewery, Now We're Cookin', Pacific Northwest, Paella In the Park, Patrick Nelson, Pike Market Child Care & Preschool, Pike Market Food Bank, Pike Market Medical Clinic, Pike Market Senior Center, Pike Place Market, Summer BBQ Series, Sunset Supper in the Market.